I always use Uncle Ben’s brown rice. 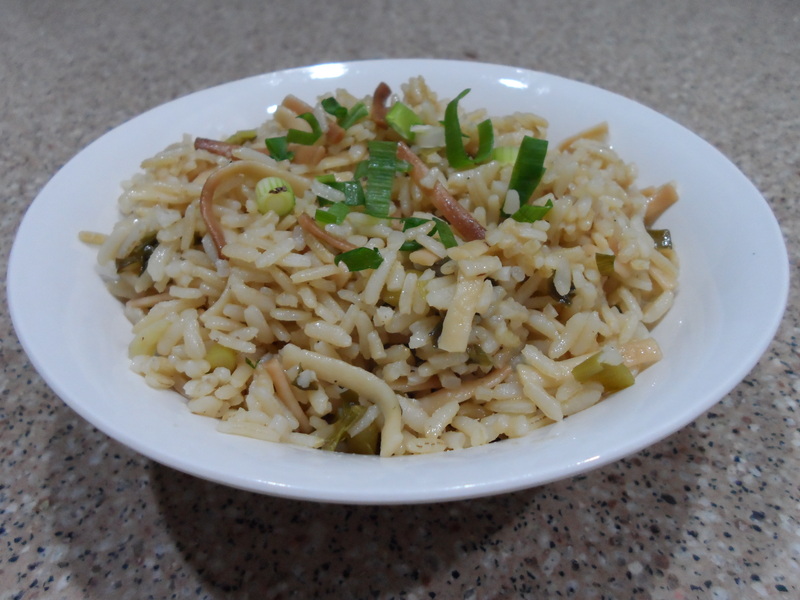 It has all the brown rice attributes, but cooks more quickly. If you buy bulk brown rice you’ll need to adjust the cooking time. 1. In a small saucepan over medium heat, melt together the butter and oil. Break the dry pasta into 1″ pieces and sauté until golden. Add the green onions and cook until just tender. Stir in the rice and seasoned salt, then the broth and bring to a boil. 2. Cover the pan and reduce the heat to medium low. Cook, covered for 30 minutes. Turn off the heat and let stand another 5 minutes. 3. Fluff with a fork and serve.